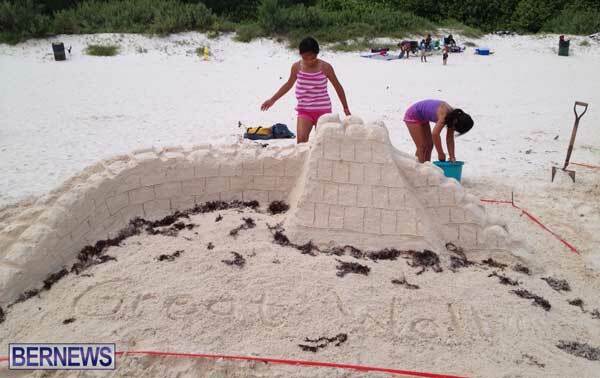 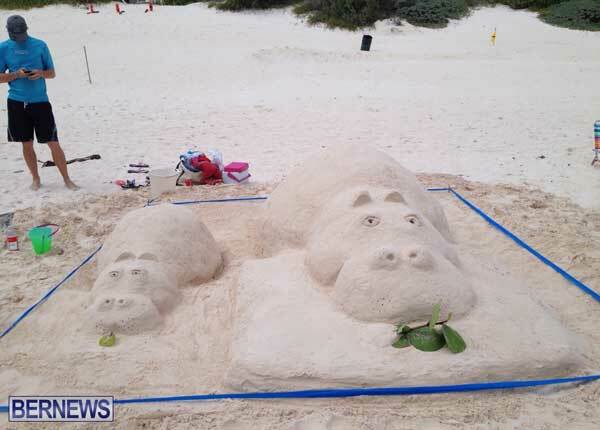 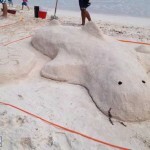 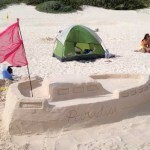 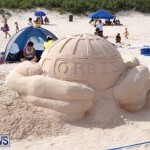 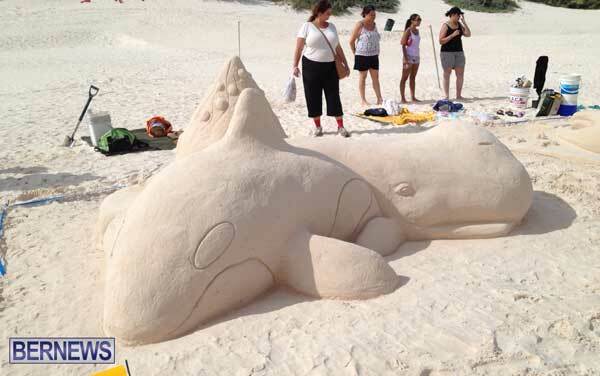 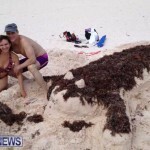 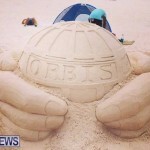 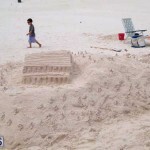 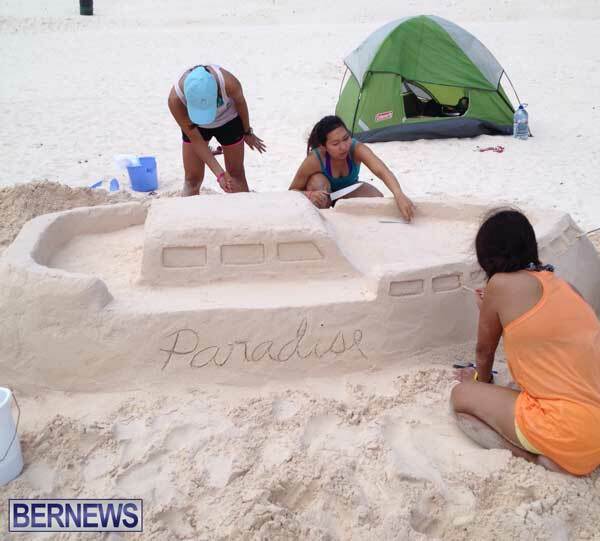 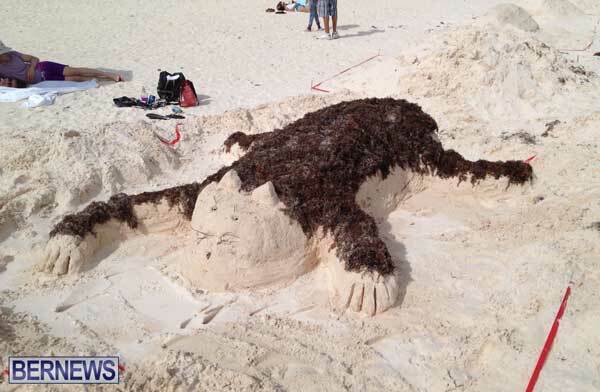 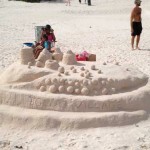 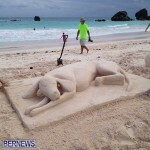 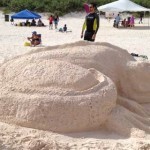 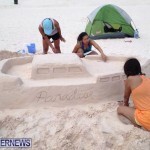 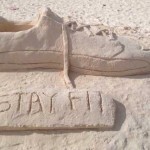 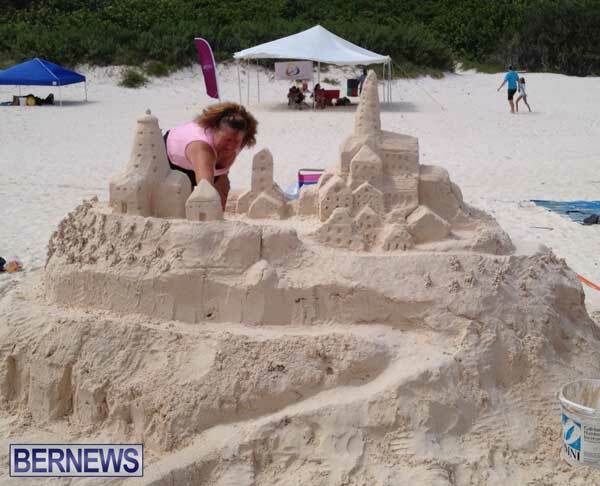 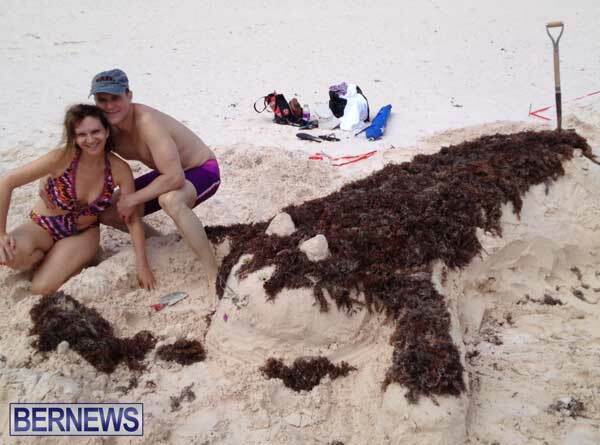 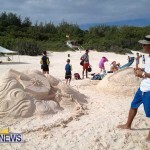 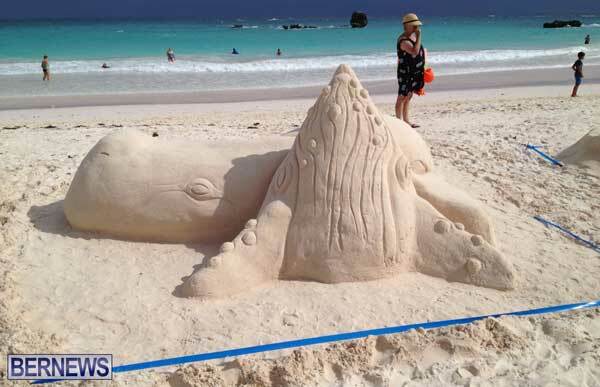 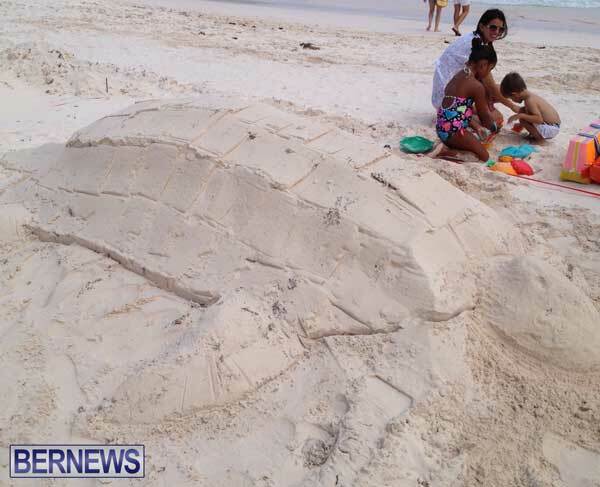 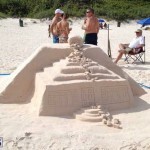 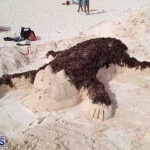 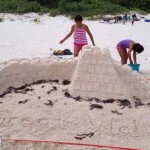 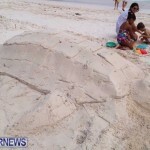 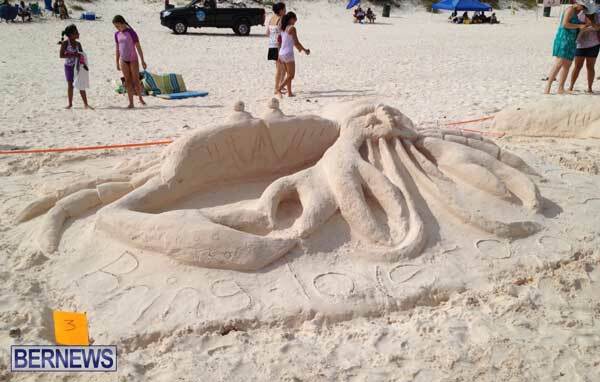 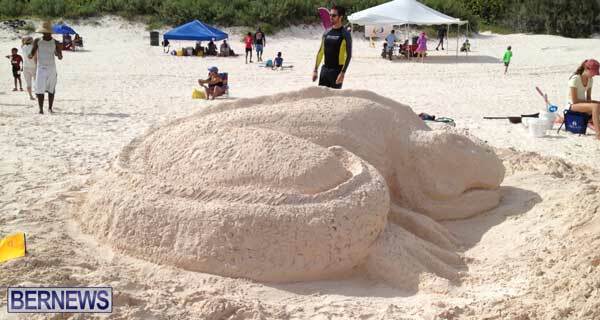 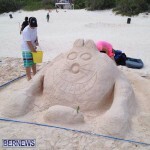 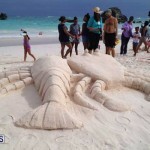 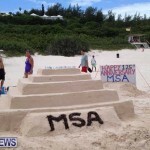 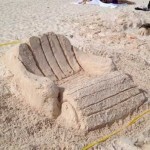 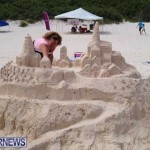 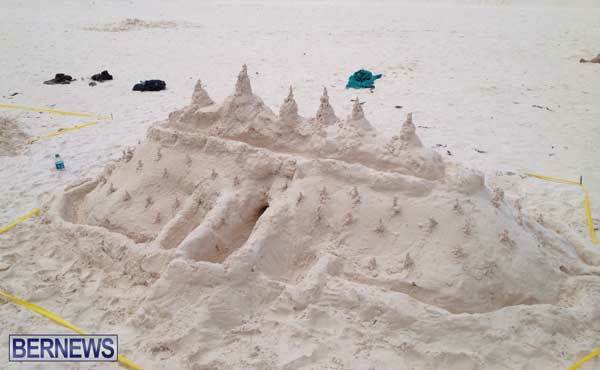 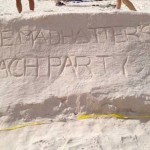 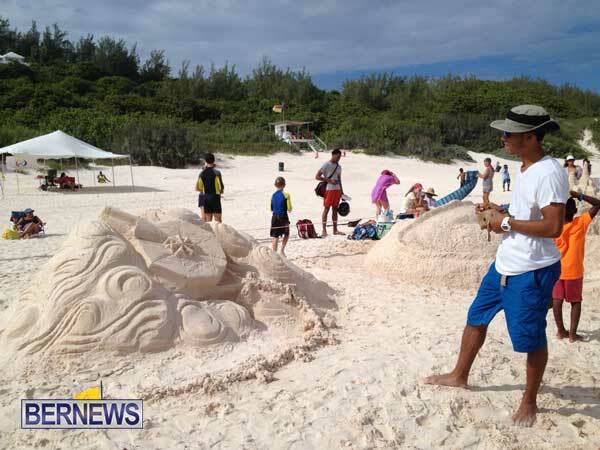 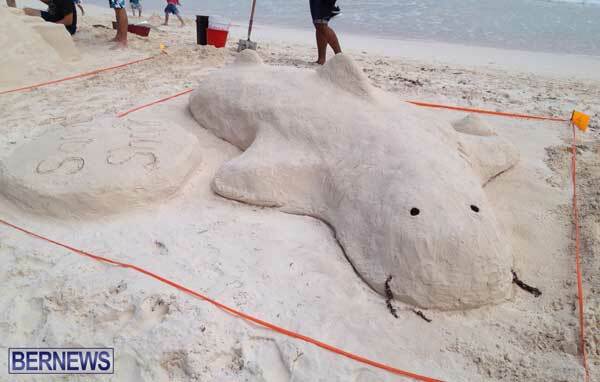 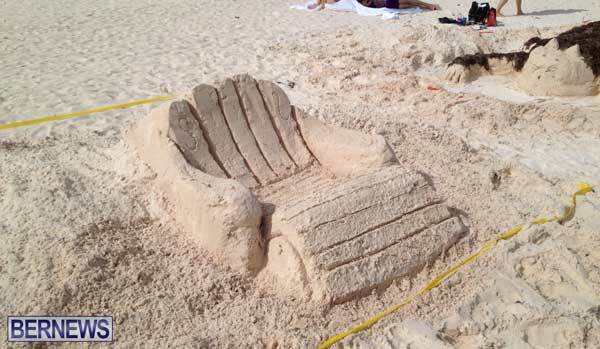 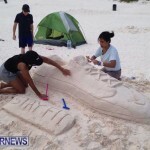 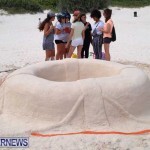 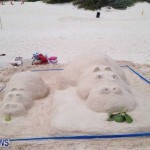 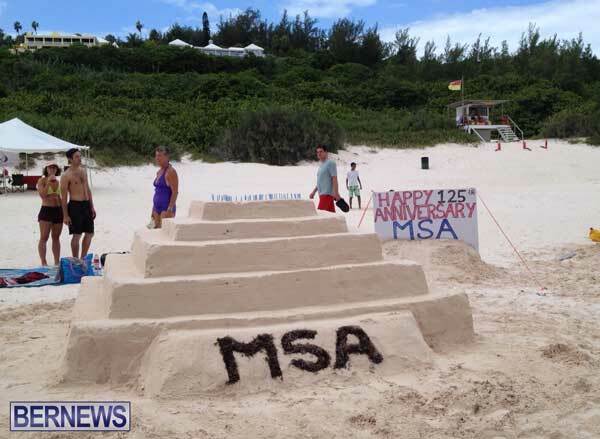 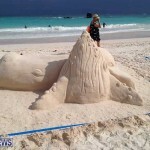 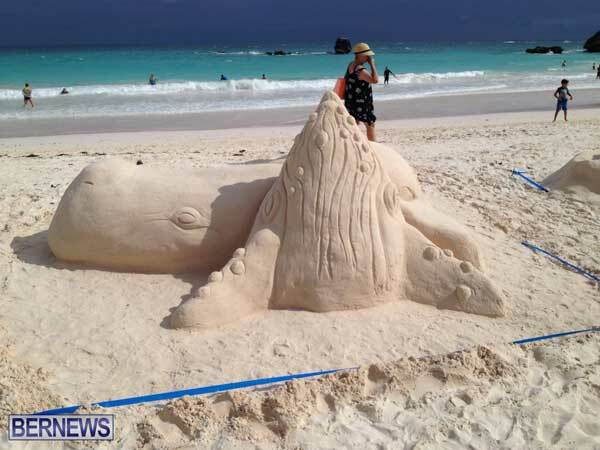 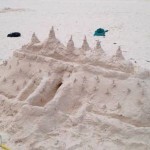 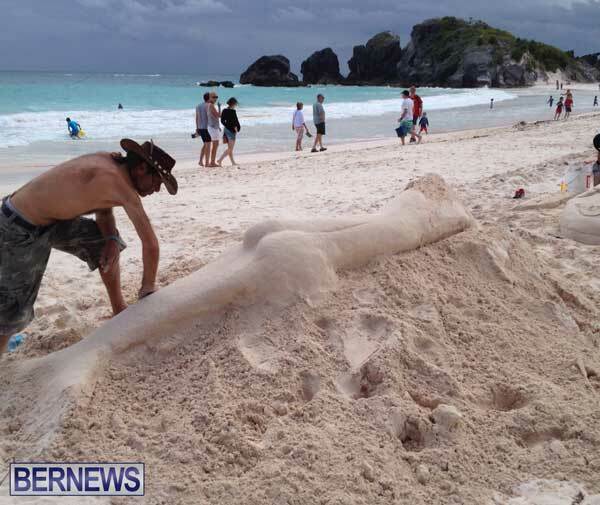 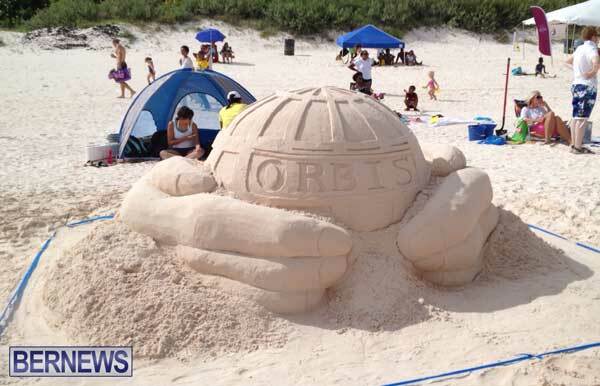 The 19th Annual Bermuda Sand Sculpture Competition took place on Saturday [Aug 30] at Horseshoe Bay Beach, with over a dozen teams entering the contest, and spending the day creating artistic sand sculptures. 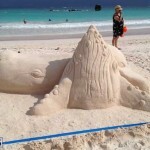 The Overall Winner was Hanna Emmerson and Maikal Thomas with their “Whales of a Thank You” offering. 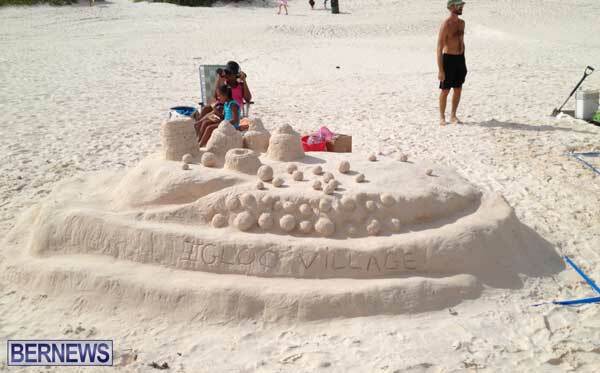 2nd place: Brazil and Skyla Furbert, “Igloo Village”. 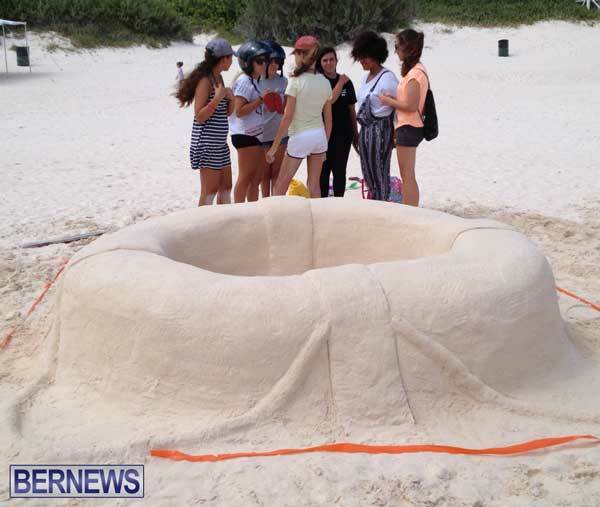 1st place: Adriana Anfossi & Camille Chin Guret, “Life Ring” . 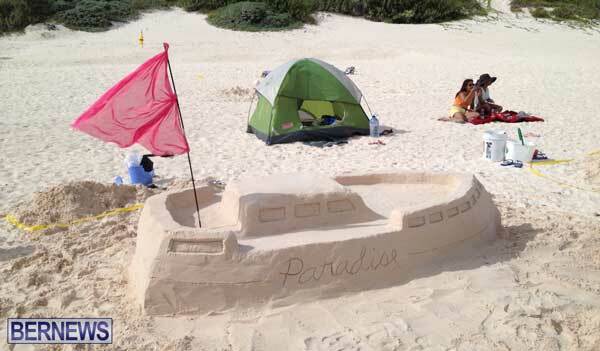 2nd place: Christian Chin-Guret, “Lonely Island”. 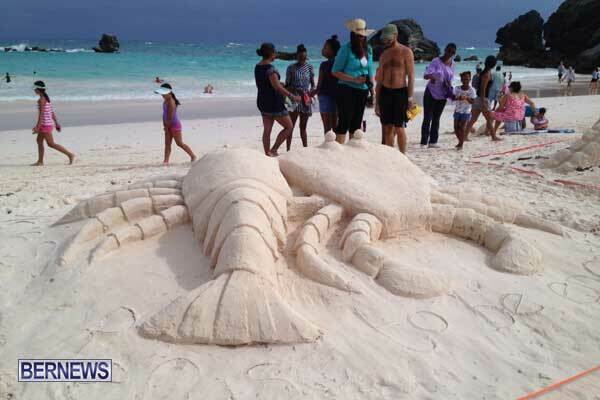 1st place: Bermuda College students: Michael Walsh, Zarai White, Khalid Muhammad, Kory Jackman, Sheridan Ming and Ani Douglas “Good Friday”. 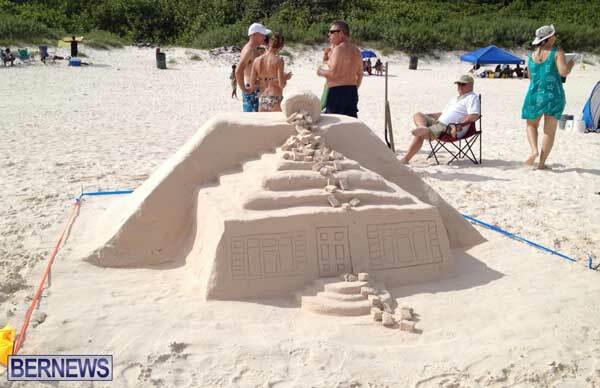 2nd place: Tamara Anfossi, Nicky Guret, Tracey Dills, & Tyrone Chin “Greek Hill Top Village. 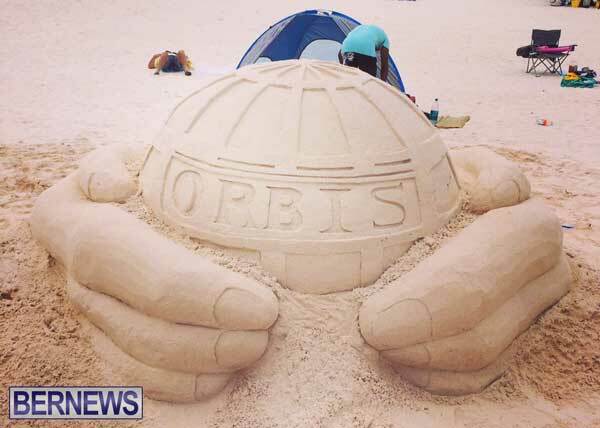 3rd place: Erika Mattatall, Theresa, Karen Lee, Andy Bento, Edmund Robinson, Neil McDonald, & Susan May “Orbis”. 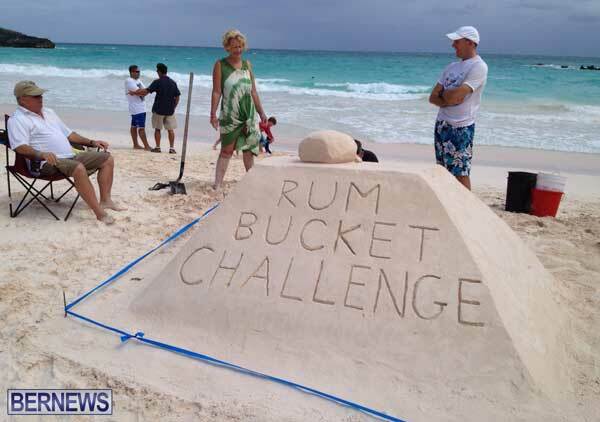 4th place: Jane Chapman, Tim Griezitis, Will Porteous, Mike Greaves, Lynee Greaves “Rum Bucket Challenge”. 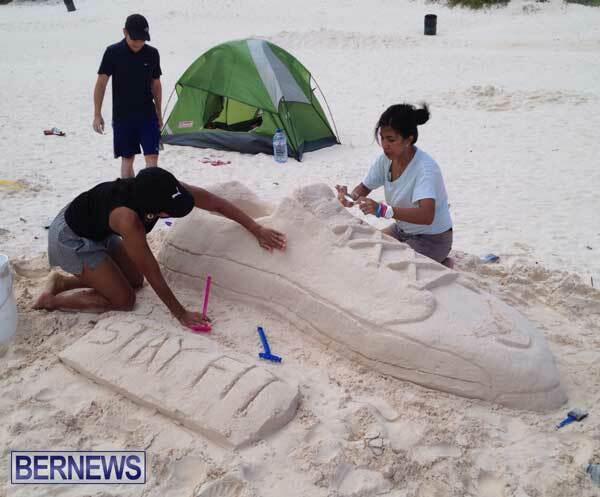 5th place: Rush Sario, Kevin Aleong, Allan Defante, Natassia Moses “Sandy Shoe”. 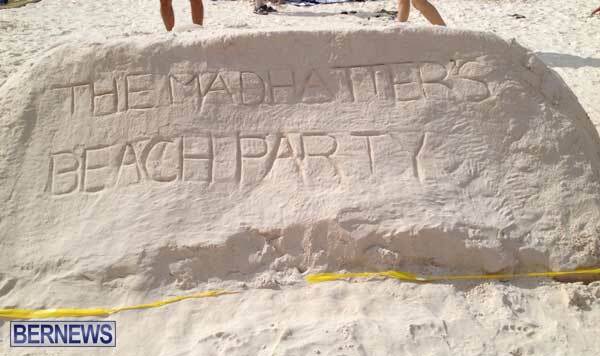 My family and I really enjoyed the event, despite the weather. 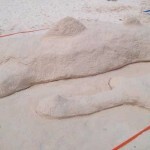 The 3 wales should have definitely placed as it was only 2 of them and they had very intricate details. 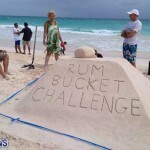 However, well done all competitors!!! 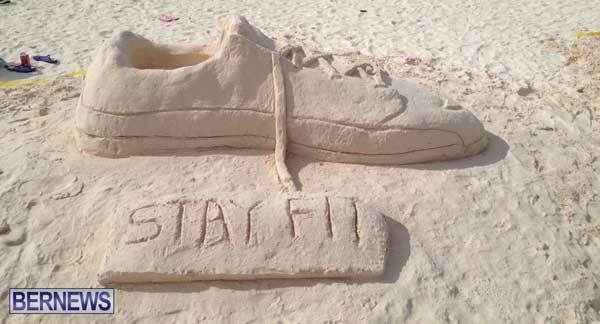 Well done, my favourite was “stay fit” I thought that was the most unique this year, but there were so many good ones to choose from.. 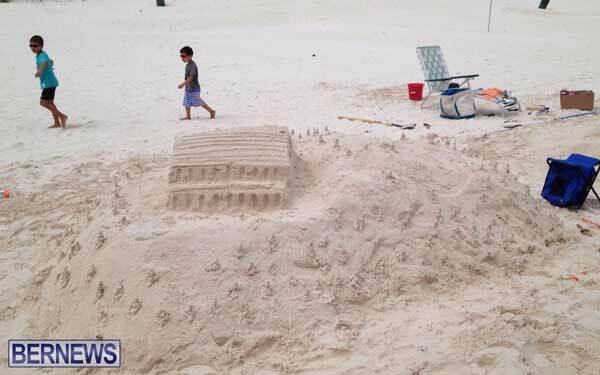 Some of those Kids are quite smart and dedicated!! 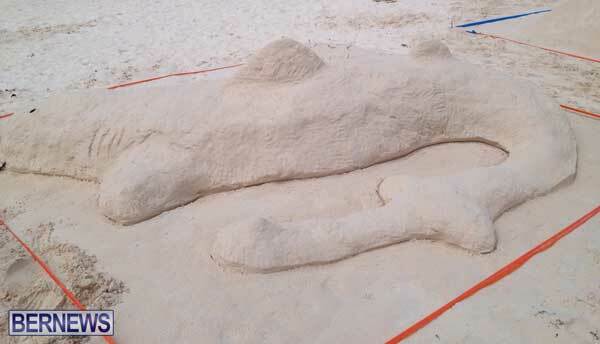 Good job!! 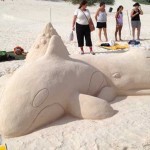 Are you telling me that the whales one didnt get any place? 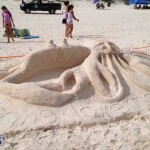 Thats the coolest one there!